Drive from Jaipur to Agra an approximate 4 hrs. drive. On arrival check-in at your hotel, After proceed for sightseeing of Agra. First, visit the Taj Mahal, a UNESCO World Heritage Site and one of the Seven Wonders of the World. Constructed from 1631 to1651 by Shah Jahan as a memorial to his third wife, Mumtaz Mahal, the domed mausoleum – built from white marble – is considered one of the most extravagant monuments ever built for love. You will see Mughal architecture – a style borrowed from many traditions including Islamic, Turkish and Indian. Next, head to the 16th-century Agra Fort, built by Emperor Akbar on the banks of the Yamuna River. Admire its construction from red sandstone and its intricate design combining both Islamic and Hindu architectural styles. Explore the complex to see the beautifully constructed rooms like the Diwan-I-Am (public audience hall) and the Diwan-I-Khas (private audience hall), added by Shah Jahan. Your city tour ends with a visit to the Tomb of Itmad-ud-daulah (more commonly known as the Baby Taj), built between 1622 and 1628 by Empress Nur Jahan for her father. Admire the marble trelliswork and precious stone inlay of the mausoleum, situated on the opposite bank of the Yamuna from the Taj Mahal. The strong Persian influence on the monument’s design – the first tomb in India entirely made out of marble and often described as a jewel box! Evening free for shopping etc. Overnight in Hotel. Drive to Jodhpur enroute visit Pushkar. Later drive to Jodhpur. Continue your drive to Jodhpur and upon arrival check in to your hotel. 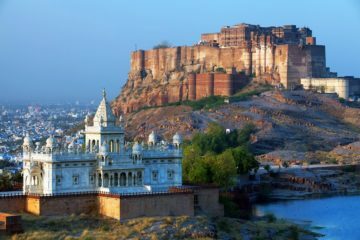 Jodhpur, founded in 1459 by Rao Jodha, was the capital of the state of Marwar during the rule of the Rathor clan. 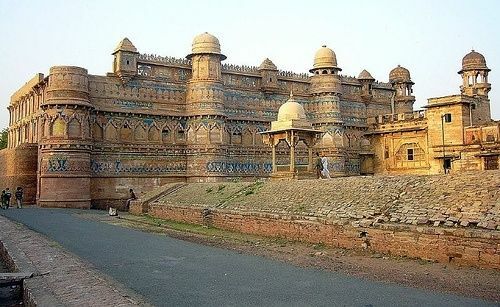 Set right at the edge of Thar Desert, it is strewn with 15th century forts and palaces that stand testimony to the history of this princely state. After proceed on a sightseeing tour of Jodhpur beginning with the formidable hilltop Mehrangarh Fort. A series of gates named Jayapol, Fatepol, Lahapol etc. lead into the Fort. Visit the palaces located inside the fort – Moti Mahal or Pearl Palace, Sukh Mahal or Pleasure Palace and the Phool Mahal or Flower Palace. Continue the tour to visit the Jaswant Thada, a marble cenotaph built in 1899 as a memorial to Maharaja Jaswant Singh II. Overnight in Jodhpur. Have leisurely breakfast proceed for a sightseeing tour of Jaisalmer. Begin at the Jaisalmer Fort, built in 1156 by Rawal Jaisal, atop the Trikuta hill. Still inhabited, there are palaces and bazaars within the fort walls. Also visit the havelis which are palatial homes with carved stone facades and owned by wealthy merchants. 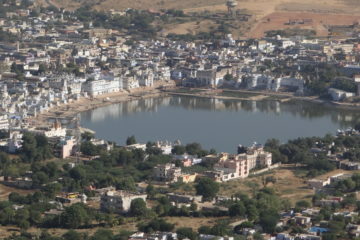 Other attractions include Ganga Sagar Tank and Museum, housing many small temples and shrines. In the afternoon, visit the Sam Sand Dunes. Take a camel ride on the sand dunes to view the sunset. 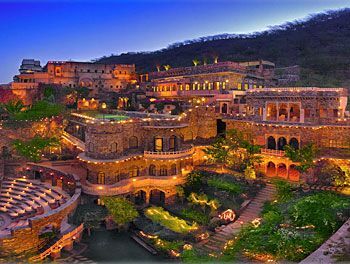 The Rajasthani backdrop, the sunset and the camel ride make the entire outing an unforgettable experience. Overnight in Jaisalmer. Morning proceed for Bikaner. The genesis of the desert town of Bikaner dates back to Rao Bikas conquest in 1486 AD. Once a major center of trade in the 16th century situated on the ancient silk route, today Bikaner has retained much of its medieval aura. Upon arrival, check in at your hotel. After Proceed for sightseeing tour visiting the 16th century magnificent Junagarh Fort. Other places of interest include the famous camel breeding farm just outside the town (closed on Sunday). and the local bazaars. Overnight in Bikaner. After breakfast drive to Jaipur .Upon arrival and check in hotel. After Proceed for an excursion to Amer Fort which is located 12 kms outside Jaipur. One of the finest example of Rajput architecture, it was the ancient capital of Kaisshawah rulers. Enjoy the ascent to the Palace on the back of a brightly caparisoned elephant. Visit the multiple chambers and hallways of the palace which are famous for their design and decorations. 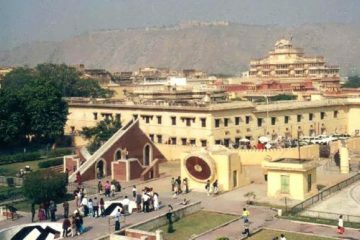 In the afternoon, proceed for a city tour visiting the unique stone observatory Jantar Mantar, the opulent City Palace with its musuems, and driving past the Hawa Mahal. Overnight in Jaipur. 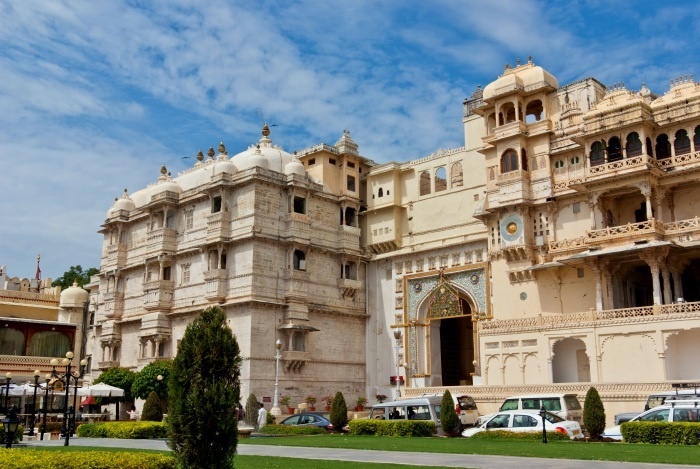 This morning check out from hotel and transfer to Jaipur airport in time to board to your onward destination.